Colombian Radiologists boicott Ultrasound. Corruption or Ignorance? Colombian Radiologists claim they are the only doctors that can do ultrasound according to a unethical Colombian Law that blocks research, knowledge and expertise. It is officially translated from Spanish to English by a certified translator. It is not a Joke. It is completely true. ARTICLE 1. Definition: Radiology and diagnostic images is a specialty of medicine which bases on the capture of images that are used in medicine for diagnosis and therapy. The images are obtained through the use of waves of the electromagnetic spectrum and of other sources of energy. Article 2. Object: Radiology and diagnostic images studies the principles, procedures, instruments and necessary materials needed in order to render diagnoses an carry out optimal therapeutical procedures. It all bases on scientific, academic and investigative method. Article 3 . Competence: The medical specialty of Radiology and Diagnostic Images participates along with the other specialties of medicine in the integral management of the patient and can, as a result, prescribe, conduct treatments, issue certificates and concepts about the area of its specialty as well as intervene as assistants of justice. Article 4. Performance: The medical doctor that specializes in Radiology and Diagnostic Images is authorized to perform in this specialty. Paragraph: Diagnostic Images can also be taken by those specialized medical doctors whose syllabus or academic formation allows them to acquire the knowledge about the management and interpretation of the electromagnetic spectrum, specially the knowledge about ultrasound and ionizing radiation in order to establish the diagnosis and/or the treatment of the diseases inherent to their fields of expertise. For all of the above they will have to present their corresponding certificate. Article 5. Title of specialist. Inside the territory of the Republic, the title of medical doctor specialized in Radiology and Diagnostic Images will only be held by those who: a) have done studies of medicine and surgery and of Radiology and Diagnostic Images in any of the universities or faculties of medicine recognized by the state; b) have done studies of medicine and surgery and of Radiology and Diagnostic Images in universities or faculties of medicine of others countries with which Colombia may have signed treaties or covenants about reciprocity of university titles. 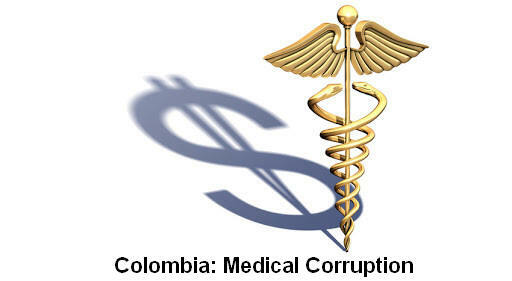 This will be possible in the terms of the corresponding treaties or covenants and as long as the respective titles be validated by the competent Colombian authorities in the country of origin of the titles; c) have done studies of medicine and surgery and of Radiology and Diagnostic Images in universities, faculties of medicine or institutions of recognized competence overseas. Article 6 . About registration and authorization. The titles conferred by Colombian universities or those that have been renewed, validated or certified from the universities of other countries, which article 5 deals with. will have to be registered before the authorities and follow the current norms. Article 7. Medical doctors in training. In the national territory, only those who obtain the title of specialist in the terms of article 5 of this law will be able to performs as specialist in Radiology and diagnostic images. The medical surgeon that may be doing his practice in Radiology and diagnostic images in a program approved by the national government and supported ,authorized and supervised by the corresponding university and/or the faculty of medicine will also be able to perform in the specialty. Article 8 Transitory permits. The specialists in Radiology and diagnostic images that visit the country as part of a scientific, academic, consulting or assistance mission will be able to perform in the specialty during a year. It may be extended up to another year with the acceptance of the ministry of health and as specifically requested by an institution of superior education. Article 9. Mode of operation. The medical doctor specialized in Radiology and diagnostic images will be able to perform in his profession in a individual or collective manner, as a public sever or private employee, as an assistant, university teacher, researcher or administrator of medical centers or the alike. Article 10. Rights. The medical doctor specialized in Radiology and diagnostic images working for entities that belong to the system of integral social security will have the right to: a) have access to the performance of functions and managerial positions, organizational conduction and orientation, management and assessment inside the organizational structure of the system of integral social security b) receive the basic elements for work from the parties that constitute the system of integral social security in order to guarantee skilled and proper performance according to the specialty; c) have availability of the elements for radio-protection and of facilities properly fitted to protect the specialist’s life and health, as well as the life and health of equipment operator, patients and people who are potentially exposed; d) have the necessary technical and control resources needed to measure periodically the radiation doses received. Paragraph: It is considered that working in the specialty of Radiology and diagnostic images is an activity of high risk. As a consequence, those who work in that specialty will have the right to a special labor treatment. institutions that belong to the system of integral social security and that use diagnostic methods such as radiology, mammography, ultrasound, magnetic resonance, bone density-metry, computarised tomography, diagnostic and therapeuthical intervening radiology and other procedures derived from the spectrum of electromagnetic radiation will have to provide their services of Radiology and Diagnostic Images through specialists of that area. The other specialties of medicine may use methods of diagnostic images needed for their area as long as they demonstrate the adequate training according to the norms established by the Ministry of Education. Paragraph: The institutions that use such methods will have to fulfill the technical requirements of security determined by the Ministry of Health. Article 12. Accommodation Period: The medical doctors that work in the specialty of Radiology and diagnostic images but have not oficialised their corresponding studies or academic titles, will have to obtain their credentials in a term no longer than four years as of the moment that this law is passed. Article 13.Credentials Program. The Ministry of National Education will be in charge of establishing a credentials program for all the specialists that work in the area of Radiology and diagnostic images in order to promote continuous education and guarantee the quality and mastery of the services provided to the community. Article 14. Consulting Organism. As of the moment this law is passed, and according to the final tag of article 26 of the CONSTITUTION, THE Colombian Radiology Association ,and those that maybe established in the future with similar grouping purposes, will constitute an organism of assessment, consultation and control of the specialty. Article 15. Functions. The Colombian Radiology Association will have amongst others, the following functions: a) act as consulting assistant of the National Government in the matters of that medical specialty; b) act as a consulting assistant of the National Council of the exercise of tee medical profession and of university, clinical or health institutions that require it services and for the purposes of regimentation or control of the professional exercise; c) supervise and cooperate with the state authorities so that the profession will not be performed by individuals who are not legally authorized or qualified; d) encourage the improvement of the academic level of its members by promoting it together with the Colombian government, the educational institutions, private entities or non-governmental organizations by means of forums, seminars, symposia, workshops, meetings, courses and specializations; e) supervise that the medical center of Radiology and Diagnostic Images that constitute the system of integral social security fulfill the requirements that the Minister of Health establishes for radio-protection and functioning permits, f) delegate functions of assessment, consult and control in zones or regional offices of the Colombian Radiology association; g) establish its own norms and assume those that the Colombian government or the National Council for the practice of the Medical Profession may assign to it. Article 16. Illegal Practice. Practicing the specialty of Radiology and Diagnostic Images outside the conditions established by means of this law is considered illegal practice of medicine. ARTICLE 17. Professional Responsibility. As far as professional responsibility is concerned, the doctors referred to in this law are committed to the general principles of responsibility concerning the professionals of the field of health. The prescription of their ethical, legal, disciplinary, fiscal or administrative behavior will be the same one that governs all professionals of health and the general norms. Article 18. Complementary Norms. Anything that is not established in this law will be ruled by the general norms for the practice of the professions of health. Article 19. Applicability. This law will prevail as of the date of its publication in the Official Paper and will rule over other norms that may contradict it.